Happy Wednesday! Accessories are just so personal. Lack of accessories can make a statement of class and finesse paired with the right combination of streamlined wearable pieces. A single dramatic neckline (or back) can say more than a beaded necklace in some situations. Accessories, those partners in style, can take up a lot of a girl or guy’s discretionary funds if one is not careful. Thinking sustainably, buying loads of cheaper accessories isn’t the way I’m advocating. I do like to curate a few pieces that I know are excellent quality and will get many uses, making the cost per use very small, or else, I make old things do new styles and make my own pieces. Over the summer, I discovered that I loved brown leather. I got the most comfortable booties in a beautiful warm shade of brown from Naturalizer in the Nordstrom sale. I had paused wearing a family heirloom, my grandfather’s watch he gave me, for the summer because it was heavy and I didn’t have an alternate lightweight pal to tote along. The Daniel Wellington boutique opened in Boston on Newbury St. and I found a classy watch with some prime features – the date, rose gold detailing, and a beautiful brown leather band that would match my gold sandals worn all summer as well as my booties come fall. So, with this love for blue, after the Dapper St. Mawes I had my eye on the Classic Somerset blue limited edition watch. It matches the sapphires in my wedding band which means it matches me everyday and is extra special. If you don’t have as deep an attachment to blues, it’s a beautiful color and also comes in a warm red for now. Checking out italian home favorites at Ronsky’s on The Street in Chestnut Hill, MA – cannolis and zeppoles for breakfast and a hot cappucino. Hats are another newer accessory to me – this summer I’ve been extra conscious of getting proper sun protection in the hour+ commute outside. 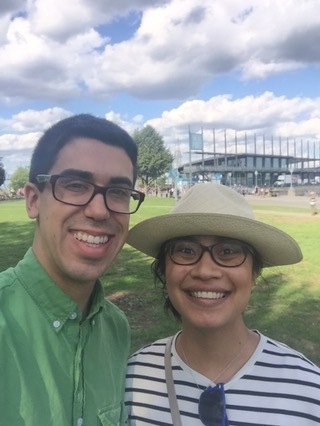 In addition to learning about sunscreens (which I wrote about here) wearing a stylish, well made , “fewer is better” hat from Cuyana made my summer and went everywhere – from errands, on top of Québec city to the beach in Nantucket. Checkout this Amazing video from Nantucket! It makes me want a drone with a camera to get such an amazing vantage point. I didn’t wear many scarves all summer long, but I’ll be sure to have a fun fall favorite accessories post soon and chat about those – I have a great love for patterned fabrics and there are few accessories as versatile and practical as a scarf – warmth on the go, packable, and can turn a monochrome outfit into a chic one with one drape, or vice versa – a colorful outfit played down. I wanted to make sure to share a few classic style ideas, and would love to hear your favorites. What’s most important to you in selecting accessories for the day? Is it all about the clothes instead? Oh, and it is Paris Fashion week! I’ve been following Paris in Four Months on Instagram and her instagram stories – they really highlight the style of Paris Fashion Week. Yesterday I saw a fashion show of beautiful floral prints that took place in the Jardin des Plantes – absolutely the perfect venue for it. Otherwise, Carin Olsson’s feed constantly takes me back to Paris, which both is and isn’t a problem. That’s all for today – hope you have fun thinking about accessible and practical and classic accessories and see you back here soon! 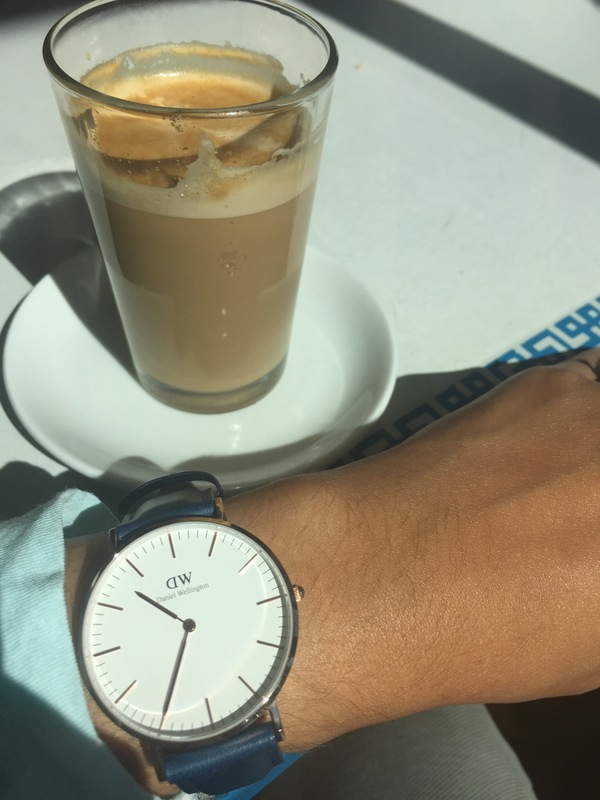 Tags: Accessorize, cuyana panama hat, daniel wellington, daniel wellington discount code, discount code, fashion, hats, men's watches, nantucket, newbury street, paris fashion week, smile, style, travel, watches, women's watches. Bookmark the permalink.